^ Jenkins, Aric (May 30, 2017). "Little Mermaid Statue in Copenhagen Drenched in Red Paint". Time. 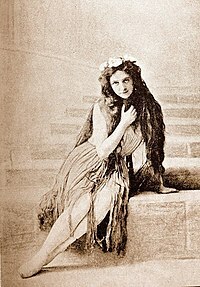 ^ "Denmark's Poor 'Little Mermaid' Vandalized Again". NBC News. May 30, 2017. 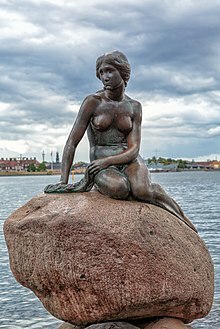 ^ "Denmark's Little Mermaid turns blue and white after latest vandalism". The Local. June 14, 2017. ^ "Søllerød Den Lille Havfrue". danskefilm.dk (in Danish). Retrieved March 16, 2017.